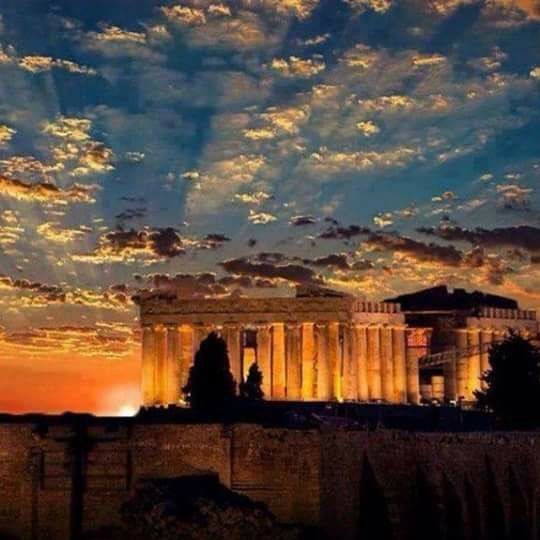 Connect with the history and culture of Athens and be inspired by the beauty and romance of the islands of Mykonos, Santorini & surrounding islands. Beautiful beaches, endless panoramic views and gorgeous sunsets await you. Are you looking for the perfect luxury vacation to Greece? Look no further! 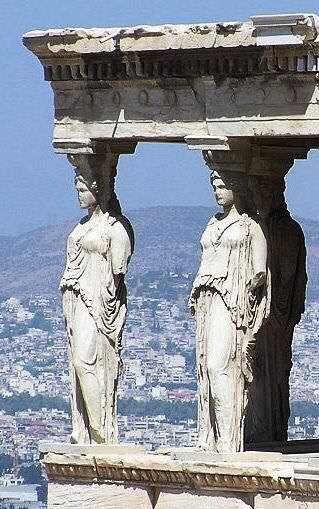 Travgroup can create the perfect personalized Greek island vacation itinerary for you. Whether you want to spend your time wandering through the streets of Ancient Greece, floating on a yacht in the Aegean Sea, or wine tasting on the coast, we can make your dream vacation come true. Let us do the planning while you sit back and enjoy the ride! Read on for some of the amazing things you can choose from. There are several beautiful Greek islands you can choose from when you take a luxury vacation to the Aegean Sea. 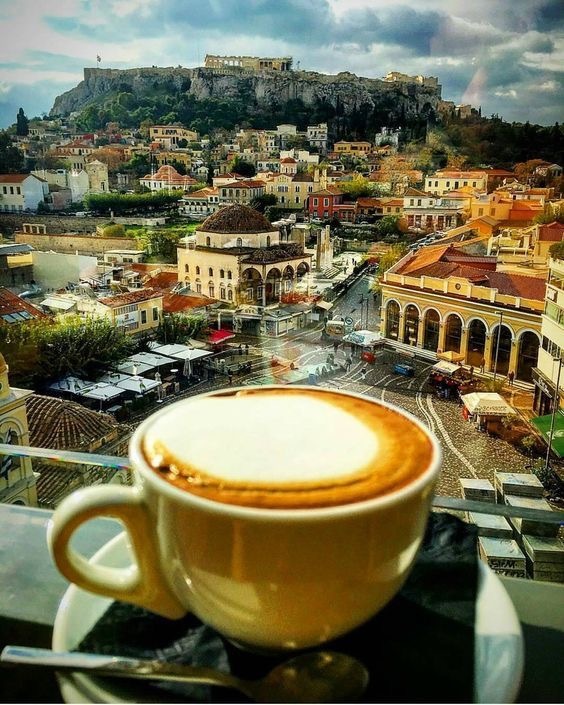 Even before you leave the mainland, you simply must take some time to look around Athens. This beautiful coastal city center has plenty to offer: ancient Greek ruins, modern shopping, and gastronomical delights. When you’re ready to head to the islands, be sure to stop at Mykonos. Mykonos is the perfect Greek island vacation spot! With plenty of partying and a gorgeous fashion scene, this island is the perfect place to experience high living and lots of fun. Another Greek island you can stop at is Naxos. This island has been filled with lore since practically the beginning of time. It was said that Dionysus, the god of wine, once walked these shores. If he did visit Naxos, he certainly did leave gifts behind him—Naxos wine is both famous and delicious. Aside from the wining, you can also find other interesting things to do on Naxos, from hiking Mt. Zeus to exploring old villages to kite-boarding at the beach. 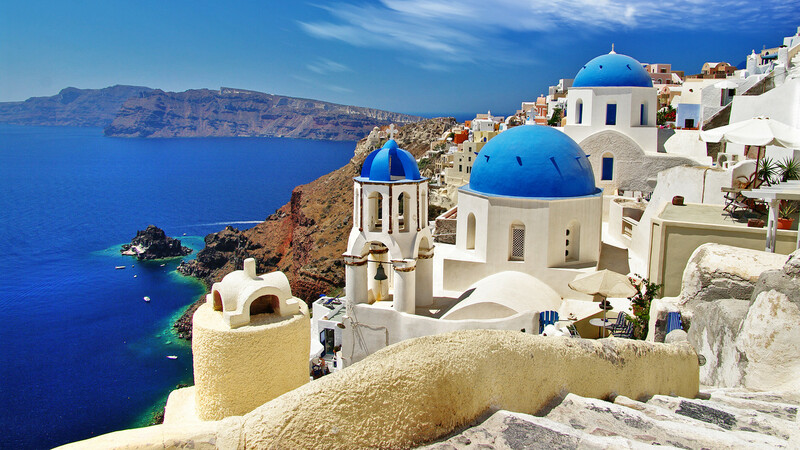 Don’t forget to visit Santorini, that multi-colored fairytale rising from the deep blue Aegean Sea. Here, you’ll find wine enough to satisfy your heart and beauty enough to capture it. 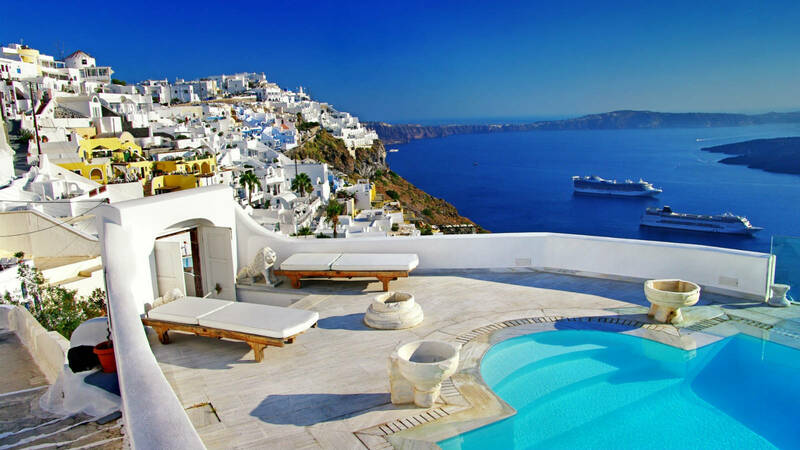 Santorini is the perfect luxury vacation island, and it offers top-notch accommodations and dining. Of course, these are just four of many incredible Greek islands to visit... don’t forget to consider Corfu Island, Patmos, Rhodes, and Skiathos, among many other Greek island vacation destinations. Greek luxury accommodations are endless. Depending on your taste and budget, we will help arrange the most perfect accommodations for you. One of our most popular resorts is Bill & Coo, which offers luxury coastal suites on Mykonos. This five-star hotel is located right on the sands of a beautiful beach, and it looks west toward the ocean-reflected sunset every evening. The area is characterized by an Old World tranquility, and each suite is enveloped in comfort and luxury. Another beautiful luxury hotel in the Greek isles Nissaki Beach Hotel, located on Naxos Island. You can choose from a variety of elegant luxury suites, each of which boasts stunning views. Nissaki Beach hotel is located right at the edge of the sea, and its beach invites you to spend all day soaking up the sun by the deep blue waters. This hotel also has a seaside restaurant and all the amenities you could possibly wish for. Katikies, a luxury boutique resort on Santorini, is also a wonderful accommodations option for your custom vacation of the Greek isles. This resort is located on the rim of Santorini Cliffs with panoramic views of the blue sea and the Caldera, offering some of the very best sunsets in all of Greece. The hotel is created to look like stacked clusters of houses that fill the slopes in the area; each room is tucked away amid ocean-view pools, terraces, staircases, and viewpoints. Many of the rooms have their own hot tubs, and all of them have an ocean view offering unparalleled luxury. Besides these three resorts, Travgroup can help you find and book the perfect resort and luxury villas for your stay in Greece. No matter where you want to go, we can help you find the right accommodations to fit your taste and travel style. See a list of our preferred partners below. 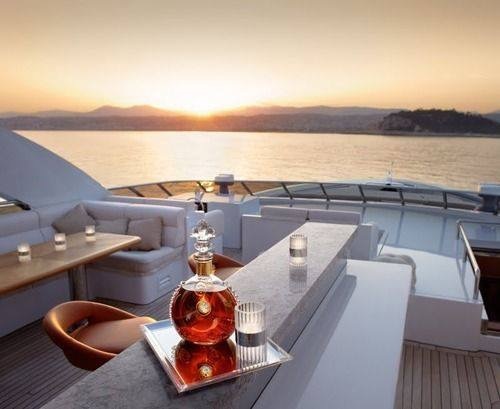 A perfect luxury vacation to Greece is not complete without time on a boat or yacht. 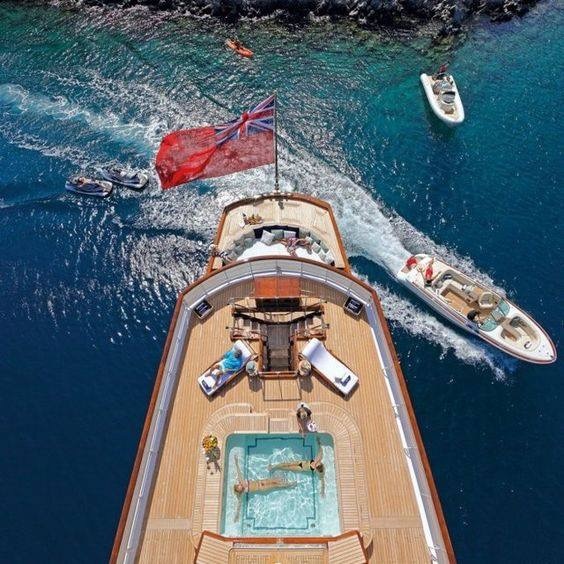 Whether you want to cruise through the Greek isles in a private yacht or just take a boating day charter, Travgroup’s special rates and inventory access has you covered. 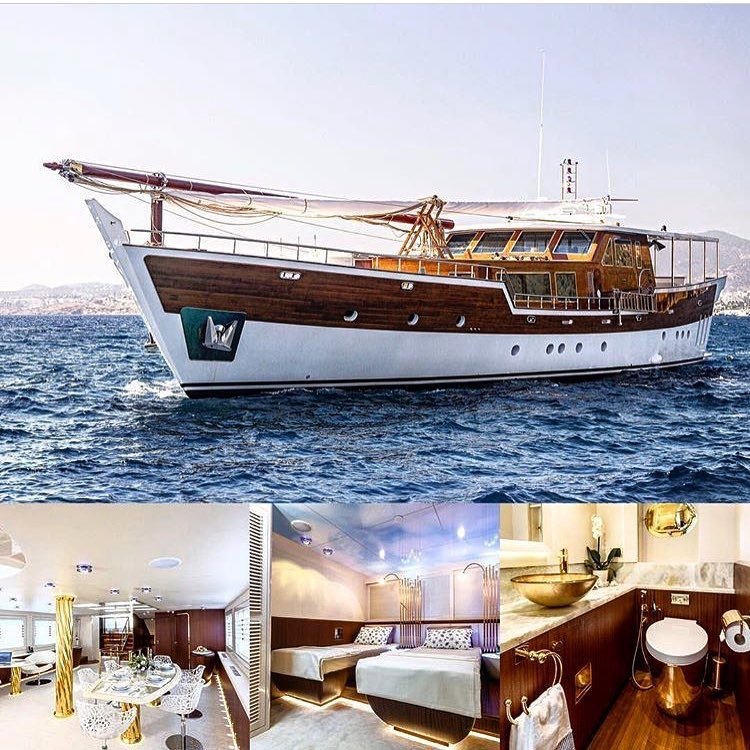 There’s nothing quite like sailing the day away on a beautifully-furnished luxury yacht in the Aegean Sea! Sip local wine as you let all of your worries float away. When you book a custom Greek isle vacation through Travgroup, you’ll receive a personally crafted vacation package at a rate incomparable to what you’ll find online or on your own. You may be surprised how easy it is to get a custom vacation to the Grecian isles! Let us know what you want to do and a knowledgeable Travgroup consultant will plan a most memorable vacation experience offering the best discounts on yachts, accommodations, and airfare. It’s never too early to start planning your next trip, so contact us today! 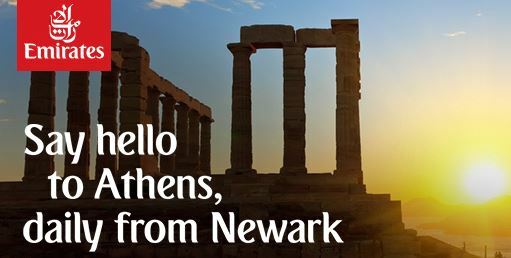 Travgroup is also excited to offer exclusive business and first class air fare and now offering direct Newark flights to Athens!